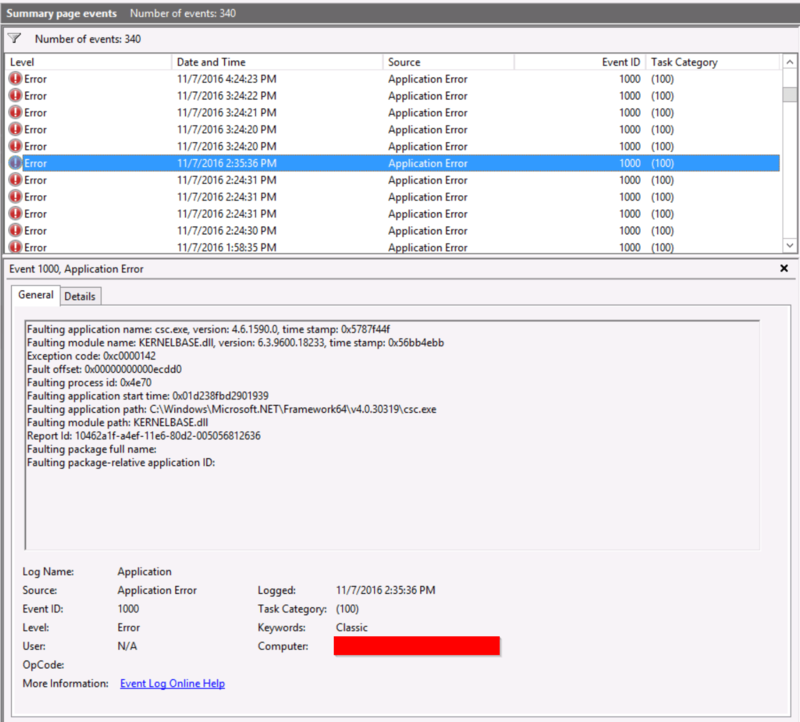 Posted on January 6, 2017 Author ikarsteinCategories UncategorizedLeave a comment on SharePoint 2013 Error: An error occurred during the compilation of the requested file, or one of its dependencies. The Managed Metadata Service Application was not accessible in the Central Administration. I checked all know issues of missing security settings of the service application and in the database. – Everything as expected. Some days before it worked like a charm. In one case I saw the problem appear after deploying the (new) Service Pack 1. Failed to get term store for proxy ‘Managed Metadata Service Application’. Exception: System.Collections.Generic.KeyNotFoundException: The given key was not present in the dictionary. I tried lots of suggested approaches, e.g. to re-create the service application using the old database. Nothing worked for me. Finally I tried the following and it solved the issue without loosing data. The names maybe different on your system. You need to create a network share for the backup data. 3. After that I deleted the service application using the Central Administration. Including the database. 5. The next thing was to add the restored service application to the service application proxy groups, in my case only the “Default” proxy group. 6. The last step was to check security settings and service application properties. In my case I had to restore the settings and security manually. That’s it. Managed Metadata Service Application working again. No data lost. If you want to follow these steps make sure you have tested everything yourself. Make database backups. Note all settings. As always you do it on your own risk! Sorry, we’re having trouble reaching the server. Second I realized that I was not able to use any function that belongs to WCF web services such as the SharePoint REST API, e.g. at http(s)://<server>/_api/web. Same for /_vti_bin/client.svc/web which is the same as /_api/web. Search the web I found some hints regarding this error in SharePoint. But nothing worked. Than I created a own web service “service1.svc” with a simple method in it and placed it in folder <SP-Hive>\isapi where the virtual folder “_vti_bin” is located on the file system. Result: I could not call my own web service too. Same result: NOT FOUND. Than I search the web for “WCF 404” and found some hints to “HTTP Activation” feature of Windows Server OS. Of course this was activated for .NET 3.5 and .NET 4.5. So I deactivated the “HTTP Activation” feature of .NET 3.5 and .NET 4.5 and re-enabled one by one (1st .NET 3.5, 2nd .NET 4.5 ) them after deactivation. 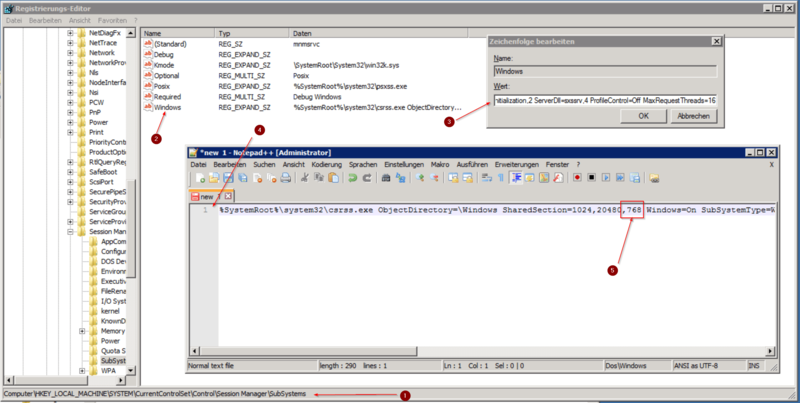 In my last post I wrote about a supported approach to create a user profile sync connection in SharePoint 2010 using PowerShell and Internet Explorer automation. In the meanwhile I have adopted the script for SharePoint 2013. Same conditions as last time: This is a kind of “Proof of Concept”. You have to modify it in order to use it in you scenarios.